The countdown to Black Friday is officially on! The countdown to Black Friday is officially on, just a few years ago most of us in the UK hadn’t even heard of Black Friday, but now, the date is firmly scheduled into the UK retail calendar and it’s not going away anytime soon! Traditionally, Black Friday is the day after Thanksgiving – an American holiday which falls on the fourth Thursday in November. This year, the event will fall on Friday, November 24. It’s a shopping date that has travelled across the Atlantic and now has a massive impact on both UK consumers and retailers alike. Last year across the UK, details of stand offs within stores were splashed across the front pages as shoppers, quite literally, fought each other for discounted televisions, hairdryers and even towels! It’s safe to say that most customers are looking for discounts on high priced items such as electrical’s and many consumers are now booking Black Friday off to try and make the most of the big savings that retailers have worked hard to pull together over the last 12 months. 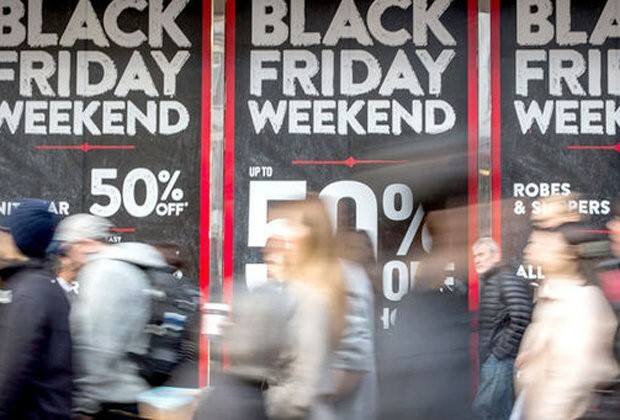 Retailers also now see Black Friday as such a massive part of their retail calendar that they plan for the event from the early part of the year. They are busy meeting brands and working out how they can pull together their best deals, so that they can drive footfall into stores over this key weekend. In some cases, retailers may decide to subsidise deals to show a larger saving to attract more footfall through their store, this is because they want to use big brands as their ‘trojan horse’ to win the race for the customers hard earned money. The CE sector is always a key part of the retailer’s offerings; 50” branded TV’s below £200, noise cancelling headphones sub £35, these big brand, big ticket cuts get the consumers coming into store. The importance of getting it right with the best deals in the market is key, last year us Brits spent 7 billion pounds online and in store. Black Friday provided the biggest single sales day of the whole of 2016. This years’ event is hotly tipped to eclipse last years’ number and GfK have also stated that they believe this year online will beat store revenue for the first time in the events history! Many of our partners have opted to avoid going into store on the 24th, but, instead support retailers across the 25th/26th November when footfall is expected to be just as high with bargain hunters, out in droves looking to get their Christmas shopping started. So, as Black Friday becomes a bigger part of the retail calendar, what impact will this have on brand ambassadors? With chaotic scenes seen across the UK, with fisticuffs over discounted fridges, televisions and toys, do our field team need to double up as security guards too!? Joking aside, when considering whether to place brand ambassadors in store, both ourselves and our clients must think about some additional things for a Black Friday focused campaign. There may be earlier starts and later finishes for the team alongside unusual working patterns. When customers are competing with one another to get their sale through the till, our team need to know exactly where till points are and how to use the POS equipment; which isn’t always a requirement of our brand ambassadors during a project. While working amongst the chaos certainly provides sales focused brand ambassadors with a buzz, stress management is something that must also be taken into consideration and selecting the right person for the role plays an even more crucial part than ever with a campaign of this nature. One thing is for sure, now that both consumers and retailers have had experience of Black Friday, sales records will be broken, consumers will be heading home happy, and hopefully retailers will be satisfied with their hard work of another hugely successful Black Friday.